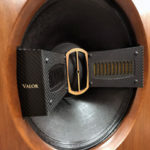 I’ve reviewed each component in this system except for the integrated amp, and I’ve lived with the system for a while. This review focuses on the sound of the whole system. The new Midnight Blue Series from 47 Labs has made the aesthetics a little more typical looking and don’t require outboard power supplies. Trying to appeal to a broader range of music lovers, I guess. Even if they look a little more typical of audio equipment on the outside the well known 47 Labs approach to minimalism and quality remains obvious on the inside. Technically, the Lens II bookshelf speakers aren’t part of the Midnight Blue System, but they seem the perfect mate so I thought I would review the system with them. I chose to use the integrated instead of the power amp because by the time I got around to doing this review I had returned the preamp. Personally in a system this simple, I prefer the integrated. The sound of the system in the all-important midrange was clear, clean, and transparent. The system did a very good job of letting music come to life. Voices were simply beautiful, and it handles male and female singers equally well. The amount of inner detail was not quite up to par with a great vinyl setup, but it was more than good enough and only sounded lacking by direct comparison. The top end was very extended and very smooth. The overall sound of the 47 Labs Midnight Blue System was simple, exceptionally musical with emotionally involving midrange and top end. The bass of this little system was a nice surprise. I’m not saying they plunge into the depths of bass. Truth is the system doesn’t play all that deep, but the bass it has is surprisingly engaging. It had nice tone in the lower midrange and upper bass. It had a very nice sense of air in the bass area as well as the midrange and top end. 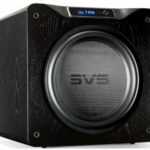 I have heard several systems using a single five-inch driver that didn’t play bass as well. Still, I could get better bass by using my $6,500 Teresonic Magus speakers and I could get better bass from the Lens II using the Pass Labs XA30.8 amp. Still, I thought there was something very special about the overall sound of the system using all 47 Labs. Voices sounded very natural on the system and that was equally true for female and male vocals. I point this out because so many small speakers add too much warmth to male voices, because of their mid-bass hump. I found the overall sound of the human voice to be very believable on this great little system. Likewise, trumpets, saxophones, and clarinets all had nice tonality and were very enjoyable. 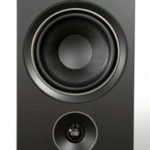 One of the things about using the Lens II speakers in this system is you get the characteristic, wonderful tonality of alnico magnet speakers. This allowed the system to play music with great tone and soul. It also contributes why the system is never bright or edgy sounding. With horns and woodwinds, they are on the side of warmth and may not have the very last word in bite. Still, the sound was nicely alive and communicated the music in a very enjoyable manner. If you choose to set the system up with the speakers on stands then it’s ability to produce a believable soundstage is about as good as it gets. Set up right, the soundstage extends way beyond the speakers and the soundstage appears totally behind the speakers and very deep. It’s that kind of soundstage where non-audiophiles want to know where the speakers are that are playing or are the speakers firing out the back. You can also hear the air between the instruments and the space where the recording was made very well. The good news is if you choose to set the system up on a bookshelf with the speakers also on the bookshelf, you still get a very nice soundstage and maybe the best bookshelf system I have heard. The overall sound of the system surprised me. Just looking at the equipment and I wasn’t surprised that the sound was transparent, clear and fast. What I wasn’t ready for was how very organic and tactile it sounded. 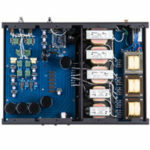 The 47 Labs Midnight Blue system had rich tonal colors and a wonderful ease to its sound. This system has some very interesting applications. I’ve been using it in a small den upstairs with everything sitting in an entertainment center and the speakers on each corner of the same top shelve the TV sits on. I also set it up downstairs where I could put the speakers on stands and set them about 4 feet from the rear wall and well off the side walls. In both locations, the system performed superbly, but with different strengths and weaknesses. I can see many different people who would find this system addressing both their space needs at home and their musical taste. I think if you look at the system’s individual parts the two source components are the ones that give you value well above their price tag. The little 4730 Midnight Blue Tuner is a real throw back to the world of really good analogue tuners. This only matters if you live where you can receive good FM radio. Both source components are of medias that seem to be a dying breed. Still, you can get CDs and get them really cheap used. The 4735 Midnight Blue CD Player is an exceptionally musical digital source. If you are like me and listen to something like 98 percent vinyl this player is perfect for playing the music I can’t get on vinyl. It’s reasonably priced, takes up very little space and sounds amazing for a digital source. Also, I don’t have to put a computer in the system. I have not tried to rewrite each of the reviews that have already been published. This review is more of a conclusion to all the 47 Labs Midnight Blue reviews. The closing thought I would like to leave you with is this: I have heard many systems that did not sound nearly as good as this one, where nearly every piece in the system costs more than this whole system including cables cost. Heck, most of those systems spent more on cable than the 47 Labs Midnight Blue system. Nuff said. I’ve been round and round over the last few years trying to get a handle on which direction to go. At first I wanted to duplicate Jeff Days system then yours. The better half signed off on such an expenditure. But as the reality approaches I ask myself why spend that much when I will ultimately be just as happy with a modest 47 Labs system. Maybe happier because I won’t feel guiltily selfish. 47 Labs “Zen mystique” is Yoshi’s marketing angle but there is a strong element of wisdom in Kimura sans approach. I see a Gaincard, a 4735 CD player, and Konus Essence in my future. Thank you as always for the work you do here.